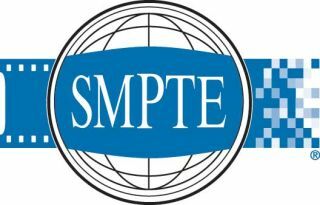 SMPTE's membership has elected new officers and governors for the 2019-2020 term. Patrick Griffis, vice president of technology in the Office of the CTO at Dolby Laboratories, will take office as the new SMPTE president on January 1, 2019. "Pat's dedication to SMPTE is truly remarkable, and his passion, energy, and expertise will be vital to the Society's success in meeting its ambitious goals for the coming years," said current SMPTE President Matthew Goldman, senior vice president of technology at MediaKind. "I look forward to seeing SMPTE's continued evolution under his leadership." "SMPTE is building on the success of its centennial by focusing on new initiatives across its three pillars: standards, education, and membership," said Griffis. "We're embarking on some exciting new projects that will allow the Society to be even more agile in addressing the requirements of modern media and entertainment. I am particularly passionate about expanding our outreach to the next generation of membership and becoming an even more global organization. I look forward to working with my SMPTE and HPA colleagues to ensure the Society continues to meet the needs of the individuals and organizations advancing the science and the art of next-generation media and entertainment experiences." The election leaves the positions of finance vice president and governor for the New York Region vacant. These positions will be appointed by the SMPTE Board of Governors and will be announced at the Annual Membership Meeting, scheduled for 8 a.m. PT on October 23, 2018. The Board of Governors will appoint governors-at-large as well as directors of standards, education, and membership at a later date. Further information about the newly elected SMPTE leadership is available at smpte.org/2018-society-election-results.